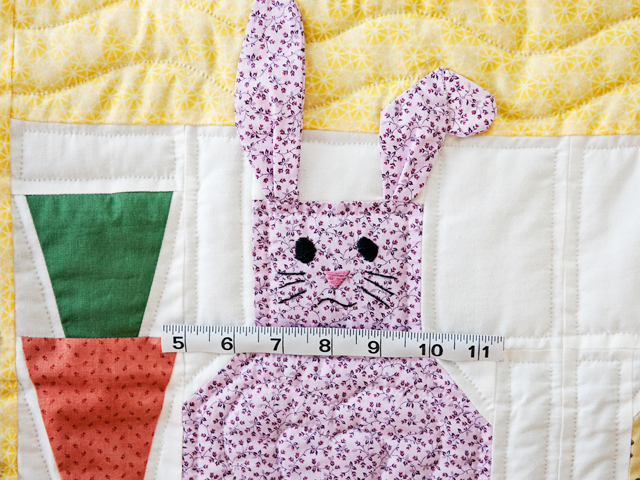 A very special quilt for a very special new baby! 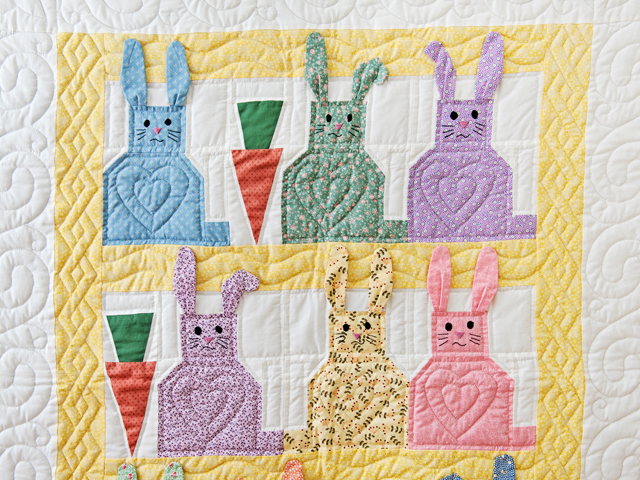 What a darling quilt! 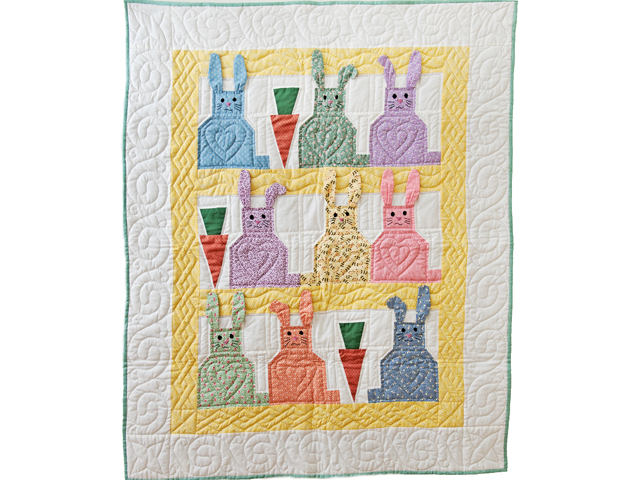 Each bunny is adorable with it's hand embroidered cute face and special ears. Lots and lots of amazingly tiny hand quilted stitches. Well made by a Lancaster County Amish woman. Includes a sleeve for a hanging rod. 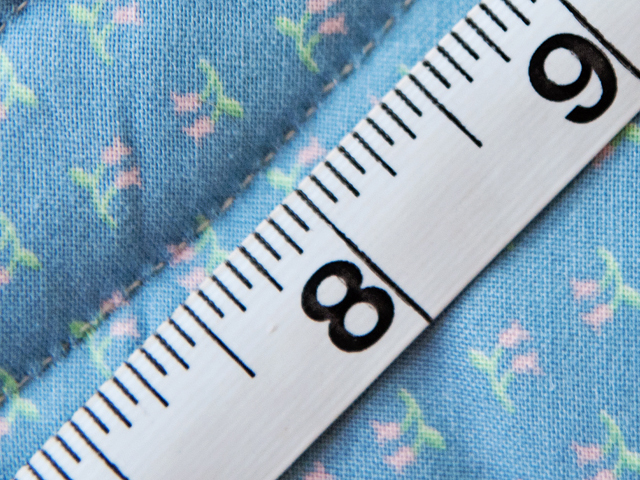 The fabric on the back of the quilt is a solid, soft yellow. 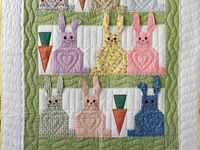 The fabrics and hand quilted border design used on the quilt available will vary slightly from the one pictured. 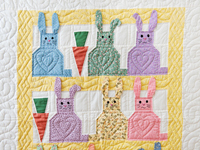 What a darling quilt for that special baby! Look at all those adorable bunnies! Lovely fabrics! Exquisitely hand quilted by a Lancaster County, Pennsylvania Amish woman. Includes a sleeve for a hanging rod. The back of the quilt is covered with a solid green fabric. 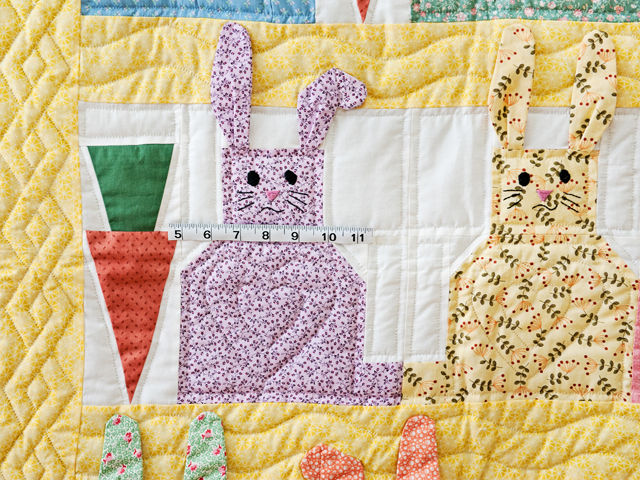 The fabrics and quilting patterns will vary slightly from the quilt that is pictured.